Even legends can lose their edge. This applies to acclaimed investors and dividend aristocrats alike. 2018 was an explosive news year that will be remembered for many reasons. 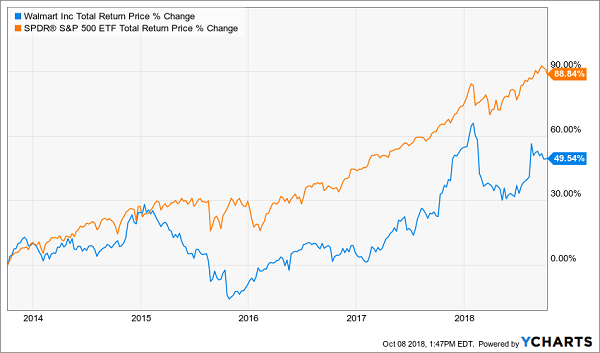 But one thing that will go under the radar is how this year has been a turning point for numerous old-guard dividend stocks. 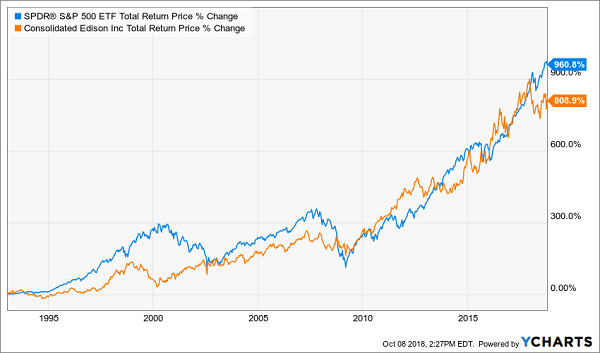 These companies have been no-brainer holdings in countless retirement portfolios for years – in fact, chances are you hold one if not several of them. I’m going to highlight five of these revered but poorly aging blue chips in a minute. But first, I want to show you the danger of avoiding warning signs, even in legendary investments. Or in this case, legendary investors. 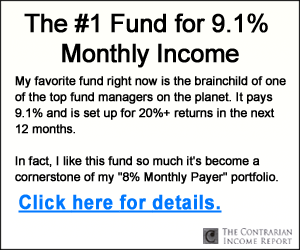 David Einhorn is one of the most famous hedge fund investors in the U.S., gaining his influence thanks to roughly two decades of outstanding performance in his Greenlight Capital fund, where he practices a value-oriented long-short strategy that has largely worked in his (and his clients’) favor. Just one of his holdings – Ensco (ESV) – has beaten the market, and only two more – AerCap (AER) and Voya Financial (VOYA) – are even in the black. More than half his top-10 holdings, meanwhile, are sitting on double-digit losses. But Einhorn has been waving red flags for years. Last year, he produced a 1.6% loss (net his heavy fees and expenses), versus a whopping 21.8% total return for the S&P 500. In 2016, Greenlight did manage a 4.5% gain, backing out fees, but that was less than half the index’s 12% total return. Einhorn’s problems even go back to 2015, when he actually lost 20.2% – his first down year at that point since Greenlight lost 23% in 2008. Einhorn has delivered several years’ worth of warning that his acumen might be slipping, yet many stuck with him and his absurdly high cost structure. None of these companies are going bankrupt tomorrow, next week, next year … maybe ever. But they’ll do something just as ruinous: They’ll provide investors with constant glimmers of hope that they’ll begin to outperform and grow their dividends at a respectable rate, convincing investors to hold on to these stocks for years as they never live up to their potential and perpetually underperform. Stop hanging on. These five blue-chip stocks just don’t cut it anymore and should be sold immediately. And stay tuned because afterwards we’ll discuss secure 8%+ yields with quick 28% total return potential. Walmart (WMT) – still the world’s largest retailer despite all of Amazon’s (AMZN) advances – is the poster child of this “sneaky” kind of blue-chip danger. Walmart boasts more than 5,300 retail units in the U.S. alone. That’s made up mostly of Supercenters, but also includes brands such as its 597 Sam’s Club locations – its warehouse stores that compete with Costco (COST). Even more impressive is that there are 6,377 international Walmart locations across 26 other countries. Walmart also has a budding e-commerce division that’s operational in 10 countries, including domestically, where it’s still registering breakneck growth. I don’t expect Walmart to go out of business anytime soon. Why should I? Walmart’s vast operations generated just more than $500 billion in sales last year. Analysts expect revenue expansion for at least the next couple years. This retailer is one of Amazon’s primary targets, and yet thanks to a savvy Jet.com acquisition and a willingness to accept tiny margins, it’s also the most likely retailer to weather the retailpocalypse. Wall Street might expect Walmart to grow, but barely, at just about 3% annually. Worse, profits are actually expected to contract next year as it continues playing chicken with Amazon. That would be acceptable from a massive dividend play delivering most of its returns via robust, growing distributions … but Walmart’s 2.2% yield is getting crushed by the 10-year Treasury, and it has been locked into meager penny-per-share dividend hikes since 2013. 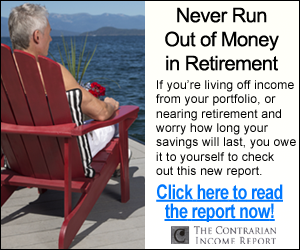 If Walmart can’t even match the market, it certainly can’t earn you what you need to live comfortably into retirement. It’s time to move on. 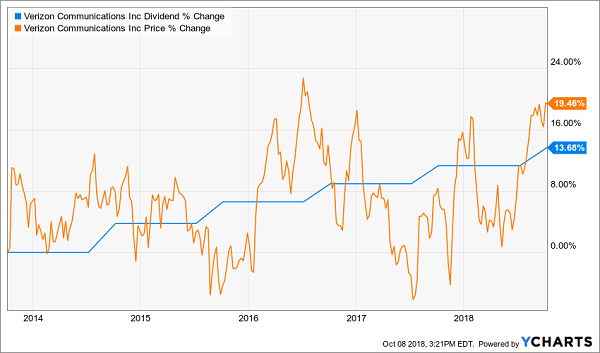 I’m not being dramatic when I say General Electric (GE) broke the hearts of dividend investors in 2009 when it slashed its dividend by two-thirds as it tried to scratch its way out of the Great Recession. General Electric was one of the most trusted dividend payers in America, and its payout cut was felt so deeply that anytime I write about GE, I still receive emails from former stock owners who want to share their horror stories. Yet, many people grew to trust General Electric again over the next eight years as it re-grew its dividend. In fact, they trusted GE so much that they ignored the growing danger that was becoming evident in 2017. GE would cut its dividend again that year – part of a collapse that has seen the stock lose more than half its value since the start of 2017. But a new headline has jolted GE to a 20% rebound in just about two weeks, so I feel compelled to warn investors yet again. General Electric dumped CEO John Flannery at the end of September, replacing him with former Danaher (DHR) chief Larry Culp in hopes that an outsider can repair the broken company. But consider this: GE still is in a cash crunch, saying it will miss FCF guidance for 2018. There’s a real risk that General Electric could cut its payout yet again to preserve precious dollars, or “readjust” it lower once it spins off its healthcare operations in 2019. Which brings up another point: Investors must navigate a ton of uncertainty around what GE will actually look like amid a sea of planned spinoffs and divestitures, some of which might not even happen. Could Culp turn General Electric around? Sure, he could. But that doesn’t make General Electric a reliable growth-and-income play again – it makes it a gamble. And that’s not how you build wealth over time. 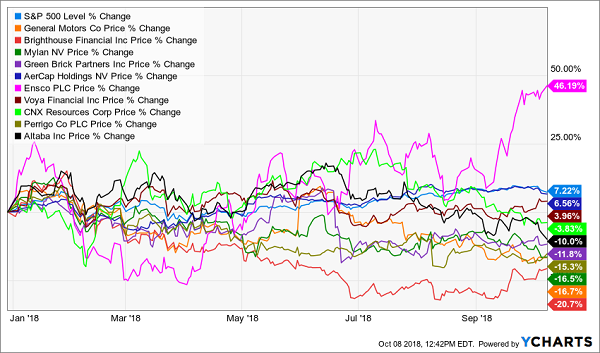 I’m on record as saying that New York City-based utility Consolidated Edison (ED) can deliver “modest growth and dividends.” In fact, that’s what you can expect from most utility stocks. Utilities’ attraction is simple: If you need to save money, you’ll cut back on almost anything before you cut back on electricity. It’s simply too important. Thus, utility stocks (which also typically run as monopolies, with little to no competition) have extremely reliable revenues and profits that they use to pay reliable, relatively high dividends. Long-term, a position in Consolidated Edison has acted like a less volatile but less growthy S&P tracker. That’s good, but if your goal is to beat the market over the long run, ED just doesn’t have the legs. The same general principles that make utilities attractive typically apply to companies that produce consumer staples – daily necessities such as pre-packaged food, toilet paper and soap. You can easily put off buying a new area rug, video game system, or $500 Vitamix blender … but you can’t put off eating, wiping yourself and cleaning your hands. But unlike utilities, consumer staples companies have some semblance of competition. Kraft Heinz’s brands portfolio is truly impressive, and includes the likes of Kraft macaroni and cheese, Heinz condiments, Oscar Mayer hot dogs, Ore-Ida potato products, Classico pasta sauces, Kool-Aid, Jell-O, Maxwell House, Planters, Lunchables, CapriSun and dozens others, not just here in the U.S. but across a couple dozen more countries. But Kraft faces a number of competitive issues that have stymied the company and forced it to cut its way to profits. For one, cheaper “private-label” brands have become a heavy preference of grocers such as Kroger (KR) and Safeway (SWY), giving budget-minded shoppers a cheaper alternative across many staples categories. Also, consumer tastes – especially in the U.S. – are moving away from prepackaged foods and high-sugar drinks, and toward both healthier meals cooked at home, as well as toward restaurants as many people look for the ultimate convenience. Other things have weighed on KHC, such as current food inflation and a failed takeover bid for Unilever (UN) in 2017. But ultimately, its inability to hit home runs with new brands, and its lack of healthier offerings, is a long-term headwind that will keep the stock mired in underperformance. Verizon’s (VZ) struggle to deliver any sort of outperformance isn’t much different than the plight of utility stocks. Verizon and AT&T (T) run almost like a duopoly, commanding more than two-thirds of U.S. wireless subscriptions as of mid-2018. That leaves roughly 30% remaining to gobble up for growth, but almost all of that is split between lower-cost providers T-Mobile (TMUS) and Sprint (S). So Verizon is stuck between a rock and a hard place. It has to provide high-quality service on par with (or better than) AT&T to prevent defections to its main rival, but the only way to gobble up market share is to compete on price to take on T-Mobile and Sprint – which would shrink profits and deprive it of the cash it needs to make the necessary investments to keep up with AT&T. Meanwhile, Verizon’s bets on growth – AOL and Yahoo, which were folded into a new subsidiary called Oath – remain a small part of the business. It’s also difficult to tell what kind of direction Oath will take now, as Verizon recently announced CEO Tim Armstrong would be phased out by the end of this year. It’s difficult, then, to imagine how Verizon can generate any meaningful upward momentum. That’s discouraging considering Verizon’s dividend situation. Yes, the stock yields well more than 4% at the moment, but payout growth is at a relative standstill, averaging just 2.6% annually over the past five years. Lackluster Dividend Growth, Lackluster Returns. It’s No Coincidence. Verizon isn’t going anywhere unless some new technology fundamentally revolutionizes how telecommunications services and data are delivered, and even then, that doesn’t mean Verizon couldn’t figure out those new advances. So it’ll survive. But if that’s only good enough to keep the stock treading water … why bother? I understand why investors cling on to investments like Walmart and Verizon for dear life. They’ve worked for a very long time, and it’s difficult to imagine finding much better out of such seemingly safe blue chips. But you can get better – in fact, so much better that I haven’t been this excited about an income opportunity in years.